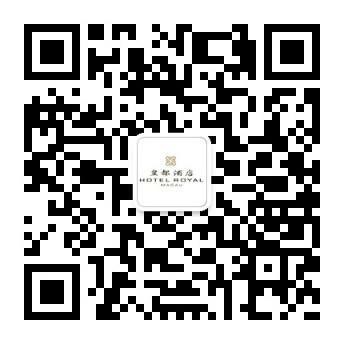 [January 29, 2019, Macau] Chinese New Year is one of the most celebrated festivals in town. Many people like to post photos of festive dishes on social media along with their greetings and blessings to friends. Instead of the traditional Chinese cuisine, have you thought of having unique postings of Portuguese dishes which are equally auspicious and delicious? 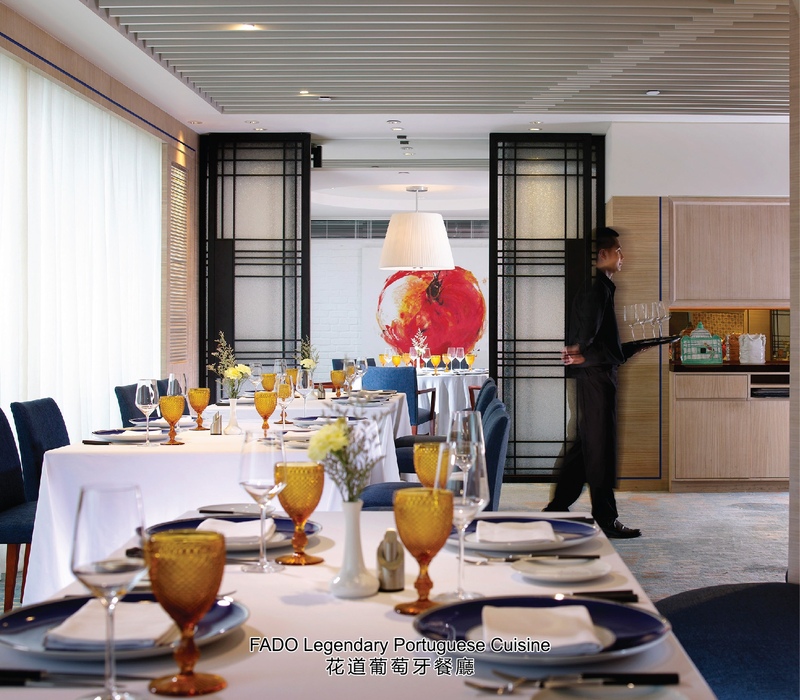 The award-winning Portuguese restaurant at Hotel Royal Macau, FADO, has prepared a host of mouth-watering delicacies to provide a picture-perfect opportunity for guests to welcome the Year of the Pig in style. No holiday surcharge will be applied! Meant to bring luck and opportunities in the New Year, the octopus legs in this dish are finely cut and served with premium olive oil and the Chef’s secret seasonings. Complemented with the crab meat marinated in onion, olive oil and red pepper, this dish will immediately spice up everyone’s mood into the celebration. Regarded as “the king of Portuguese sausage”, Alheira, is wrapped with crispy layers of golden puff pastry. It is served with turnip green pudding that reminds us about the fresh aroma of fresh produce in a farm. It is a celebration of spring and abundance! A perfectly instagrammable dish to celebrate the Year of the Pig! The boneless suckling pig is seasoned with black pepper, herbs, salt and then pressed in rectangular shape to roast until crispy, aromatic and tender! A special gueridon service is arranged for the preparation of this dish. 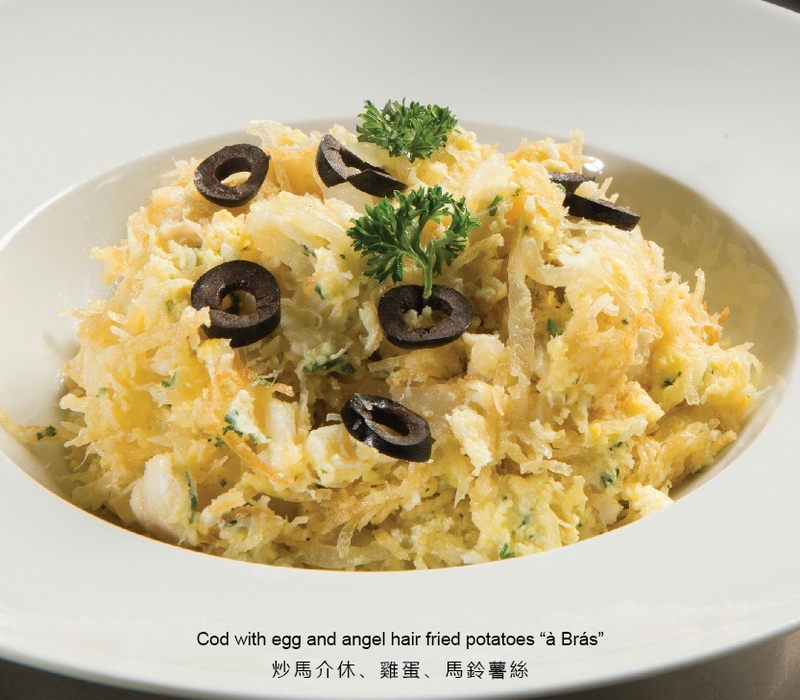 The Chef will fry the cod fish, onion, egg and potatoes in front of the guests. Such entertaining and photo-perfect process is also meant to bring good luck and prosperity in this special time of the year. In Chinese New Year celebrations, fish symbolizes “surplus” because of the similarity in their pronunciation. This highly recommended dish possesses the lucky meaning that everyone welcomes, and also a wealth of flavours from Portuguese corn stew, lobster bisque, coriander, garlic and olive oil that are used to cook the grouper and shrimp. If you are planning to invite your beloved family for an unconventional, picture-perfect Portuguese feast during the Chinese New Year, please call FADO on (853) 2855 2222 ext. 142 now. NO FESTIVE SURCHARGE will be applied.